Sun's out, bums out!! Well, not quite but as soon as the sun comes out I get the URGE to have a BBQ like so many other people so today, I'm just gonna ramble on about my essential things everyone needs at a BBQ. 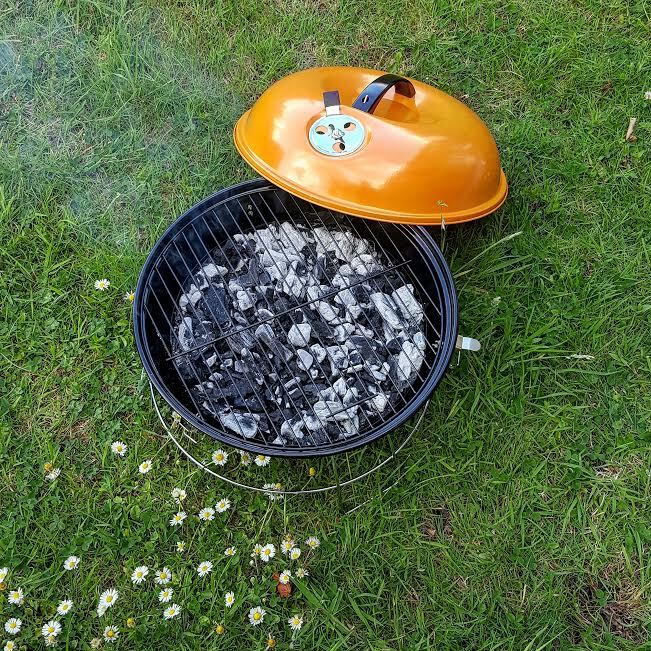 We have to start with the obvious one which is an actual BBQ, you can get the disposable ones for like £2.50 but we discovered this cute little orange BBQ in Asda for £10 - but it isn't even online!! There is a similar BBQ but it's no way near as cute at the little orange spaceship! Obviously this is a smallish BBQ but it serves plenty for 2 people and could probably cook enough food for 4 on it no problem. Moving onto something to wet the whistle whilst you are waiting for the BBQ to heat up, every supermarket do different offers on booze but I kinda like places like the Co Op because they have some unusual choices and are always on offer like 3 for £5 on beers/ales/craft beers and I quite liked the look of the craft beers because they are a little different and I must recommend the Elk Warning Cider which is Apple and Blackcurrant - so frickin' yummy! Movng onto something a little meaty, of all the stuff, sausages make the BBQ for me, even more so than the burgers! Shock shock! The thing is I don't really have sausages on a weekly or monthly basis so when it's BBQ season you best believe sausages are the first thing I go for, the meatier the better! 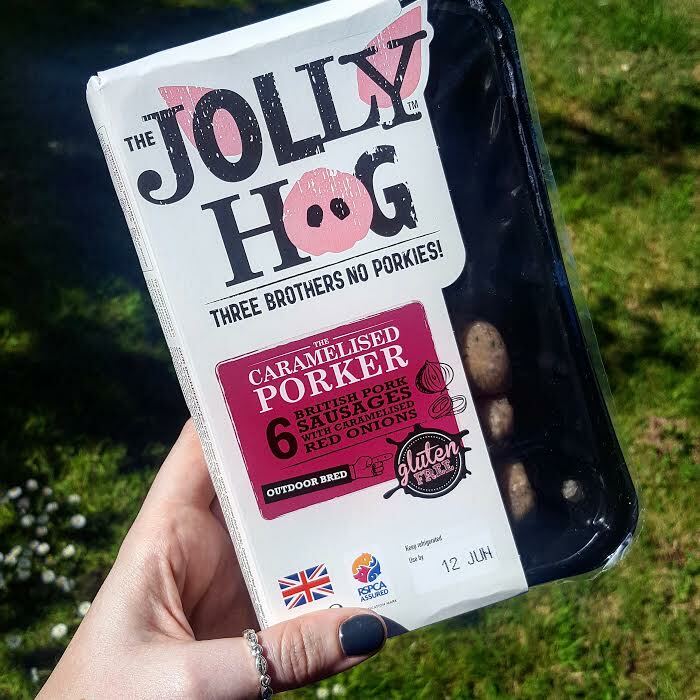 We went for the Jolly Hog Caramelised Porker sausages which were so bloody nice!! Moving onto a kind of random find but we also tried out the Gooney Bird Sweet n Sassy BBQ Sauce that we actually found in Home Sense, I didn't even realise that Home Sense did food but they actually have a quite a great selection of things that have been imported from the states or Italy or wherever really! 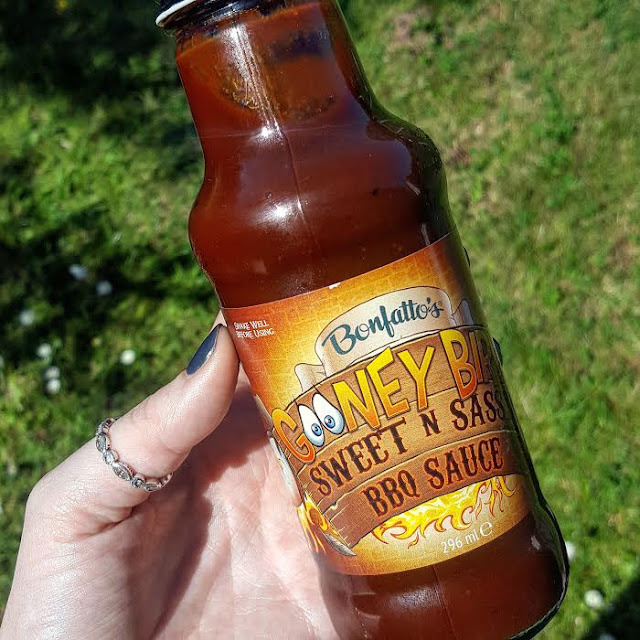 this sauce is incredible, I was worried it might be a little too spicy because of the flames on the label but it isn't actually that bad, it's more like a subtle spice but that sweet BBQ flavour is really what comes through! 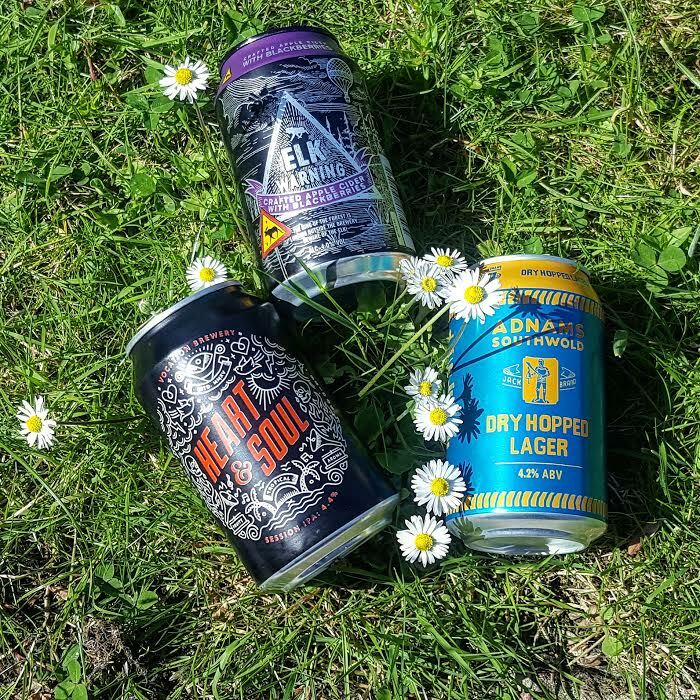 I genuinely think that a BBQ is the perfect time to try out new brands of food and drink, to be honest in the summer all the new brands are on offer anyway so not only can you discover some fab brands but you save a few pennies whilst you're at it! What are you're BBQ Essentials?